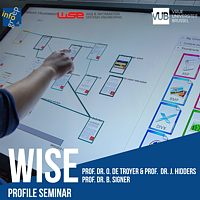 The Web & Information Systems Engineering (WISE) Lab is a research unit of the Department of Computer Science at the Vrije Universiteit Brussel and is headed by Prof. Dr. Olga De Troyer, Prof. Dr. 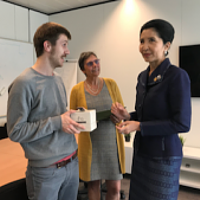 Beat Signer and Prof. Dr. Jan Hidders. The activities of WISE concentrate on innovative information systems such as next generation web applications, context-aware applications and cross-media information spaces. The WISE lab further investigates human-computer interaction aspects for those systems, such as interactive paper and cross-media solutions, data physicalisation, tangible holograms as well as multimodal and multi-touch interaction. We develop new engineering methodologies, tools and software frameworks for the rapid prototyping and efficient realisation of innovative information environments. There is a strong emphasis on conceptual modelling and design, reasoning on designs, localisation and globalisation, adaptation and personalisation, accessibility and usability in general. Important technologies used in this context are graphical and visual design languages, domain-specific modeling languages as well as design patterns. 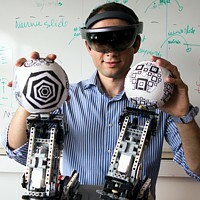 Important application domains are web applications, augmented and virtual reality, serious games and e-learning.